Hello friends! 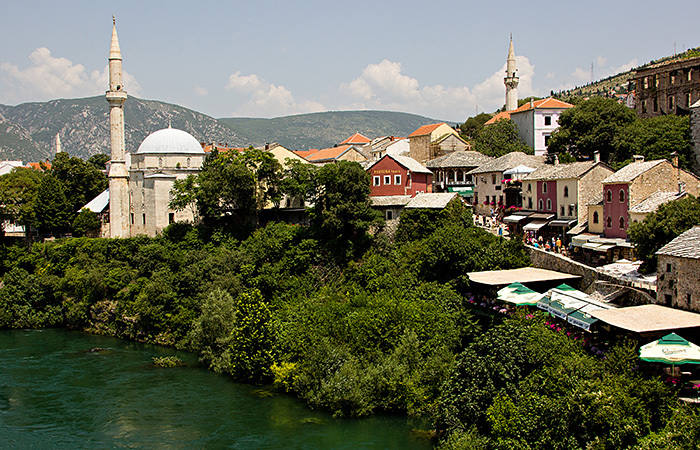 This time I will tell you a short trip in former Yugoslavia. The initial plan included also Albania, where I had to arrive by sea from Italy a Friday 17 (June). For Italians that date is the equivalent of the Friday 13, a day of bad luck. And in fact some friends told me that was not the most auspicious day to start a journey, but imagine… a man with a cultural background of enlightenment and rationalism type could only smile with a hint of superiority in front of similar superstitions. 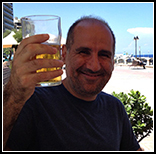 Aeeee … happened everything … first of all I did not start my trip that day because I was not able to reach Italy from Malta, where I live since almost three years, for an Italian flight controllers strike announced when some passengers where already sit inside the airplane! 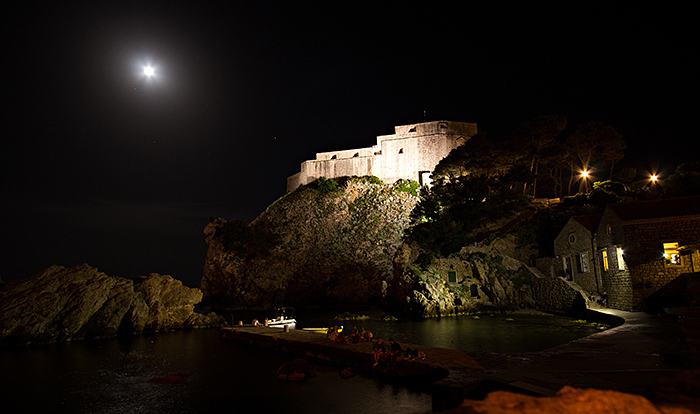 OK. Then I took a flight for the next day to Dubrovnik, changing a little bit the initial plan. No more Albania, and from Dubrovnik to Montenegro and then towards Bosnia. 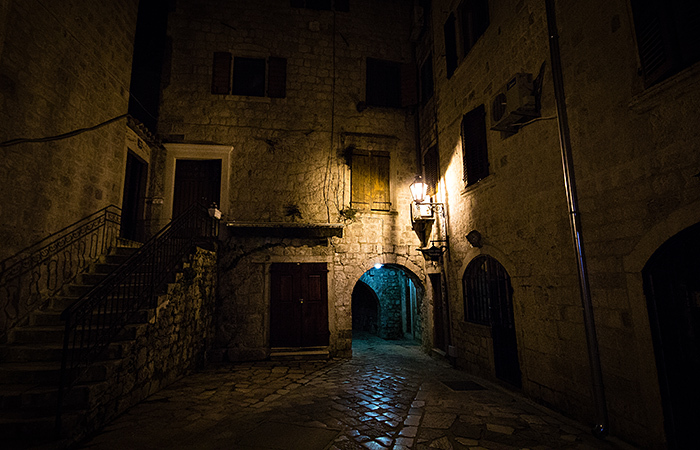 So the next day I flew to Dubrovnik but my backpack didn’t arrive. At the airport assured me that the next morning would come for sure. But it did not. It was spotted in Valencia. So, I had to wait another day. Ok, one more day in Dubrovnik, no problem. The following day the luggage was in Vienna, ready to embark on the Vienna – Dubrovnik and arrive in the early afternoon. In the evening still no news. Marko, the hostel manager of Dubrovnik, a very kind person that from the beginning was helping me with great commitment to track it, after a few phone calls found it again. Now it was in Frankfurt. But for sure, the day after would arrive… At that point, almost like a Buddhist enlightenment I finally realized that at the end in that backpack there were just some shabby shirts, boxer shorts, socks and buying few more in the meanwhile was not so dramatic. 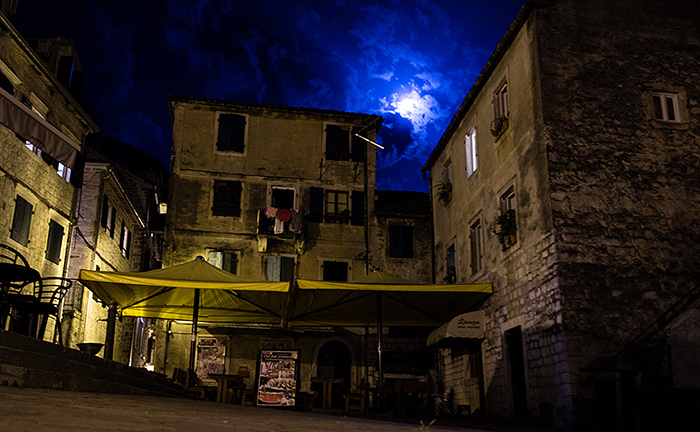 So I finally went in Montenegro, but I had to go back after to Dubrovnik just to retrieve my errant backpack, with which I finally reunited after more than six days. And then, in the return flight… did not arrive! Lost again!! However, things that can happen. Let’s talk about the journey. Very very in short, Yugoslavia formed after World War II with the spontaneous union of Slovenia, Croatia and Bosnia and Herzegovina, that were before under the Austro-Hungarian Empire, to the kingdom of Serbia. Soon after joined also Montenegro. After World War II the kingdom became a socialist republic led by Marshal Tito, who anyway always maintained a strong independence from the Soviet sphere. With the death of Tito’s charismatic figure, in 1980, the problems related to the differences between the various ethnic groups began to grow, together with nationalist sentiments. Eventually, in 1991, Slovenia, Croatia and Macedonia declared independence. In 1992, Bosnia and Herzegovina. Shortly after Serbia and Montenegro renamed themselves ‘Federal Republic of Yugoslavia’. However, within the newly formed nations there were ethnic groups with conflicting interests, in particular the Bosnian Muslims, Orthodox Serbs and Catholic Croats, plus the conflicts between Macedonians and Albanians in Kosovo. So, just few months after, the war broke out, with atrocious crimes carried out by all the parties, including the NATO with the infamous bombing of the civilians of Belgrade on 1999. An action that later the Independent International Commissions sentenced as “illegal but justified”, in the typical schizophrenic and Orwellian language of the Western powers. 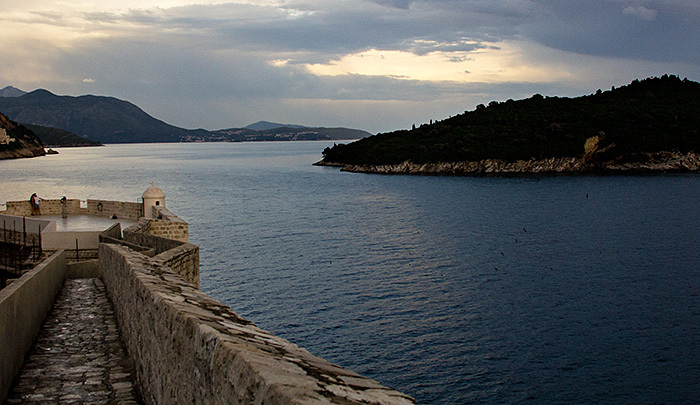 The splendid Dubrovnik in Croatia, also called Ragusa. It was for many years an independent maritime republic. 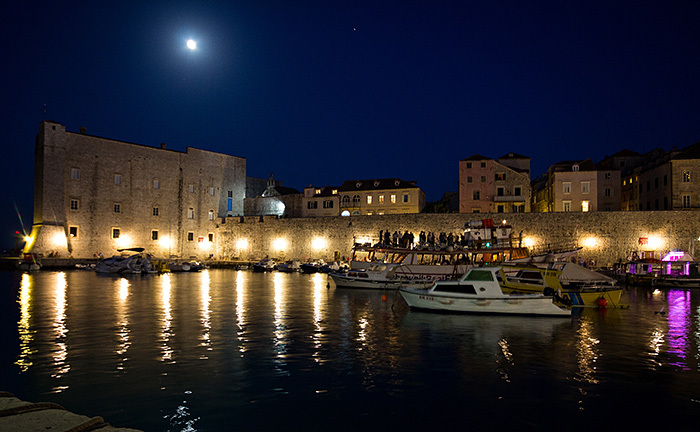 It is possible to walk on the walls that completely encircle the old town. A little bay by night. 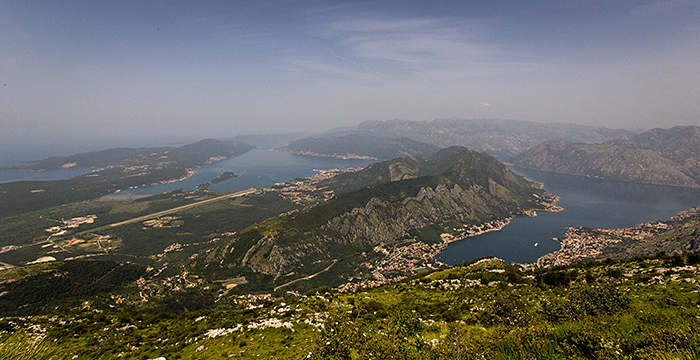 The Bay of Kotor in Montenegro. It is compared to the Norwegian fjords for the bays enveloped by mountains. 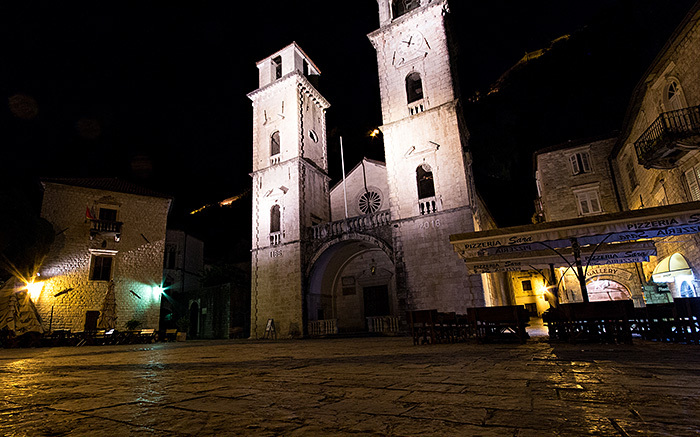 Kotor, an amazing town sheltered behind an overhanging rock and surrounded by walls. It was part of the Venetian Republic. 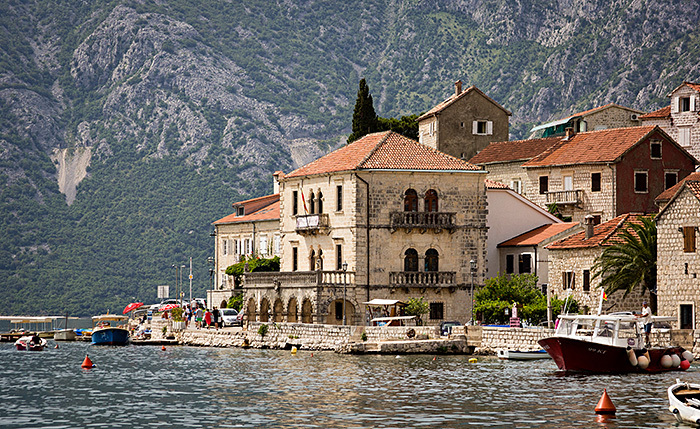 Perast. It was a loyal city of the Republic of Venice. 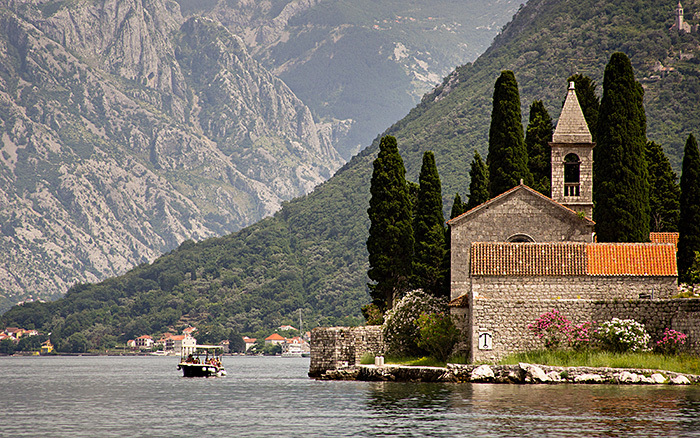 In the Bay of Kotor there are two churches built on artificial islands. 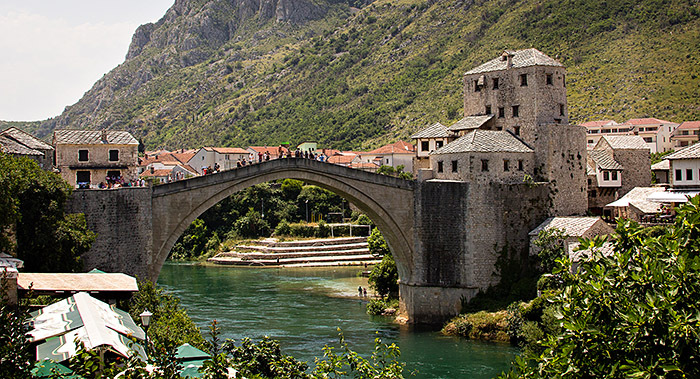 The Mostar bridge, in Herzegovina. The original one was a masterpiece of Ottoman architecture of the sixteenth century and was blown up by Croats during the war. Since it was not on the front line there was no strategic need to destroy it, but it was seen a symbol of the enemy’s culture. It was later rebuilt identically, but being a copy has lost some of its charm. A guy fishing by a bridge in Sarajevo, Bosnia. 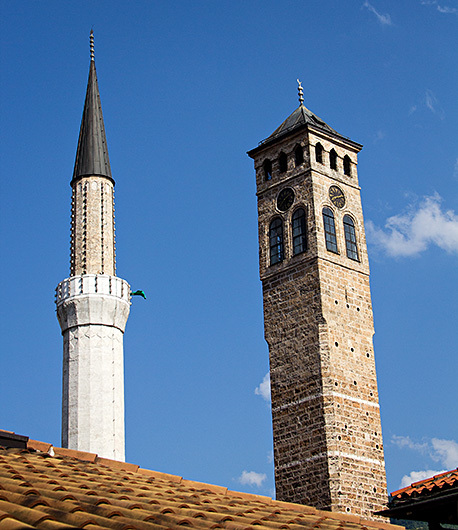 Sarajevo is also called the Jerusalem of Europe because in its center there are side by side mosques, Orthodox churches, Catholic churches and a synagogue. Even in difficult times, such as during the Second World War or the recent war in the 90s, the citizens of Sarajevo remained always in solidarity between them, regardless of the religion professed. 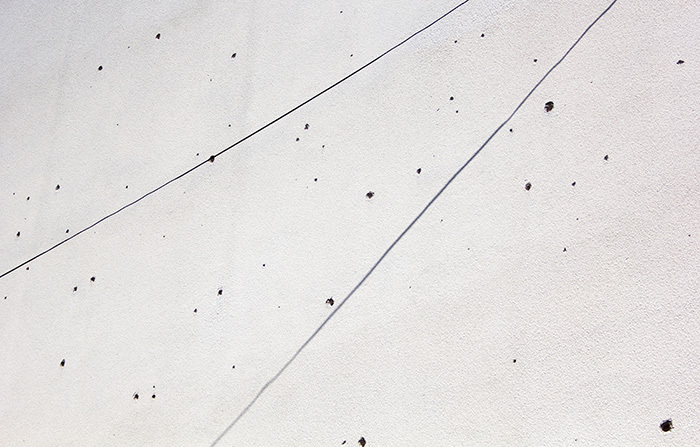 Still today many Sarajevo buildings have traces of the bombs thrown from the hills around the city during the siege by the Serbs. At the beginning of the siege the citizens thought it would last a couple of weeks. It lasted nearly four years, from April 1992 to February 1996. The population remained very compact and very few left the city. The food, pretty shoddy, was provided by the UN, which controlled the airport. The water was taken from an underground stream that passes under the town brewery. For the rest it was necessary to make do in all possible ways, but life nonetheless continued and even pubs and theaters were often open. The main source for these info was Neno, that during the Free Sarajevo Walking Tour told us his childhood memories of the siege. 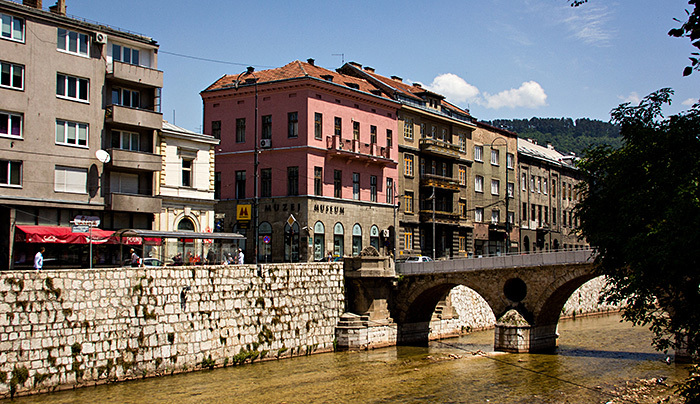 In that corner at the end of the bridge, under the pink building that is now a museum, it was assassinated the Archduke Franz Ferdinand, heir to the Austro-Hungarian throne, which led to the First World War. The killer was a Bosnian, Gavrilo Princip, who had joined a Serbian nationalist group pointing to the independence of Bosnia from the Austro-Hungarian Empire and its annexation to the Kingdom of Serbia (then in a sense, although by devious and unpredictable ways, the attack achieved its purpose). To punish Serbia, where the assassination was planned, Austria declared them war. But Serbia was an ally of Russia, which entered the war causing in turn the intervention of Germany… and so on… fifteen million dead. 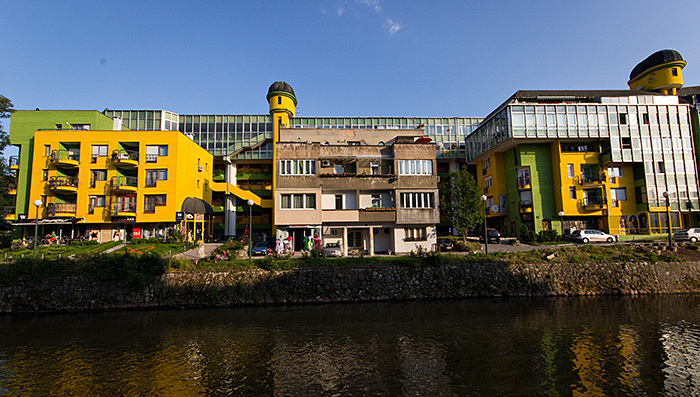 For the Sarajevo citizens is the ugliest building in the city. It was built when the communist architects thought they had to give some colors to their gray buildings, but without altering the ‘barrack’ structure. 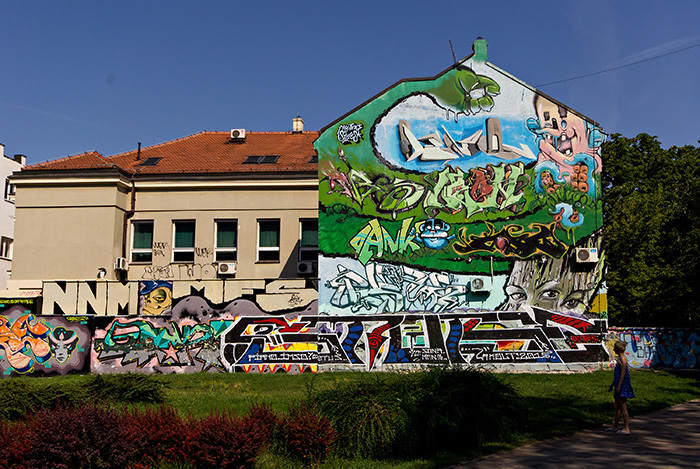 In Belgrade, Serbia. The city is full of beautiful wall paintings. 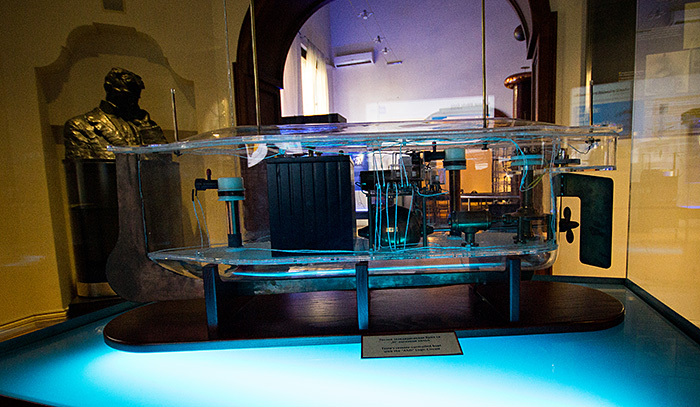 Inside the museum of Tesla, the Serbian genius whose discoveries in the field of electromagnetism had an extraordinary influence that continues today. This is the radio controlled boat. The experiment was performed in the US in 1898, and people did not believe it. For some it was a kind of magician trick, for others, on opposite, it was Tesla that was moving the boat thanks to telepathic powers. So, anything except that the strange mechanism handled by Tesla was sending invisible rays read by boat on the lake. 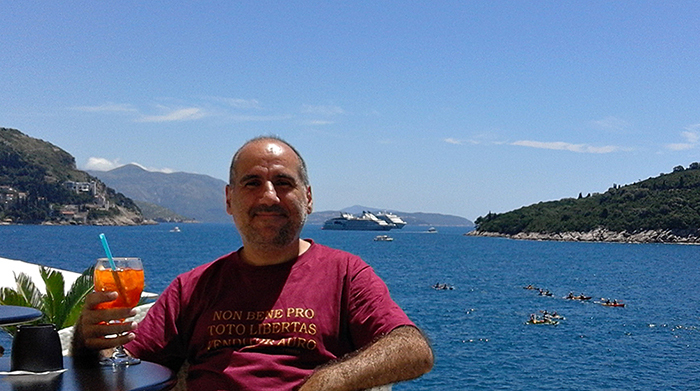 The first T-shirt I bought due the lost backpack has the Latin motto of Dubrovnik, in which I also recognize: “Non bene pro toto libertas venditur auro”, freedom is not for sale for all the gold in the world. And finally, a little advice: whatever your trusted scientist may say, do not start a journey on Friday 17th! (or Friday 13th in your case).